Synth connoisseurs with a geek mentality have been circuit bending electronic instruments and creating custom modifications for some time, but it’s highly unusual for a large manufacturer to offer a synth in kit form. Yet that’s exactly what Korg has done with the launch of a kit form of its iconic monophonic analog synth, the MS-20. 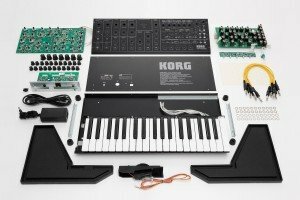 As with the MS-20 mini launched last year, Korg’s original MS-20 engineers have overseen this project. The MS-20 kit arrives 36 years after the original instrument’s launch in 1978. Exact availability and pricing to be confirmed.